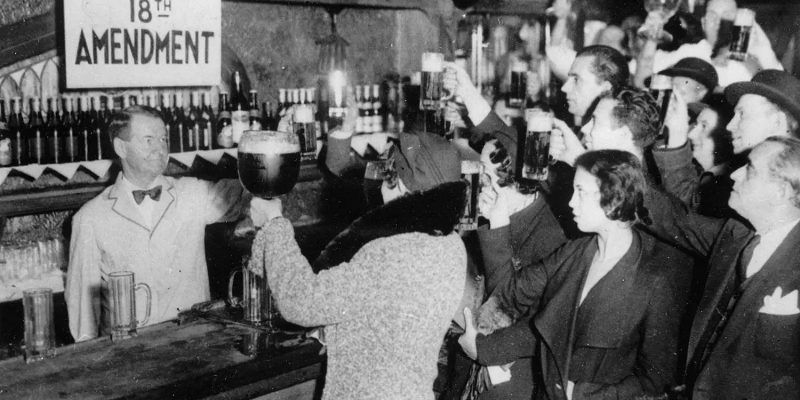 Today marked 85 years since the repeal of national Prohibition — Dec. 5, 1933, when the 21st Amendment was ratified repealing the 18th. In the Lone Star State, however, there is still much in the way of regulation of the alcoholic beverage industry, along with a Texas-size share of institutional dysfunction. Numerous reforms were heralded in the 2017 legislative session and the stage seems to be set for possibly more changes to come in 2019 as the agency enters a periodic “sunset review” process. As it happens, the next public testimony meeting for the Texas Alcoholic Beverage Commission (TABC) is set for one week after “Repeal Day” — next Wednesday (Dec. 12). Without a doubt, we can expect a few announcements and maybe a few surprises between now and this critical meeting to help motivate the Texas Sunset Advisory Commission to make various recommendations to the Texas Legislature (the biennial session convenes in just over a month). Here’s a summary of this week’s developments: On Tuesday, TABC announced it was putting some grease on the ability of local law enforcement officers to directly report possible alcohol-related fatalities and assaults, which would theoretically allow TABC investigators to more quickly investigate those situations. Meanwhile, a major retailer of adult beverages is suing the agency for possible overreach and alleged extortion. And, true to the Prohibition Repeal anniversary date, a returning state rep filed a bill today allowing Sunday morning alcohol sales. Unsealed this week was a lawsuit filed in August filed by Texas’ largest liquor retail chain, Spec’s, asserting the TABC’s “abusive regulatory overreach” in levying around $700 million in civil penalties during an enforcement effort that lingered on for nearly two years before ultimately being dropped. According to available court paperwork, Spec’s is seeking an unspecified amount in damages, in addition to about $1 million in legal fees to fight against what they consider to be an effort to “extort” cash from the beverage giant. Earlier this week, TABC, along with the Texas Parks and Wildlife Department, the Department of Public Safety, the Texas Department of Transportation, the Texas Police Chiefs Association, and the Sheriff’s Association of Texas, held a press conference to announce the creation of the TRACE program intended to speed up enforcement calls and responses. TRACE, or formally Target Responsibility for Alcohol-Related Emergencies, gives law enforcement officers a hotline to contact the TABC directly to report a possible alcohol-related assault or death. TABC is repsonsible for cracking down on retailers who serve to minors or dole out too many drinks to individuals. Under the previous way of doing things, too much time can elapse before TABC is able to interview suspects or review recorded evidence. Additionally, TABC officials have had difficulty tracking down information across jurisdictional lines. This reform comes after TABC found itself in the hot seat in 2017 for multiple allegations of abusive treatment of employees, spending anomalies, slow (and often arbitrary) responses to complaints, and bullying of the companies it oversees. The Legislature’s probing led to agency-wide changes in leadership, many of which are still ongoing. The new Texas legislative session begins on Jan. 8, 2019. Pre-filing began in November for bills. But just today, HB 469, filed by Rep. Drew Springer (R-Muenster) seeks to allow the sale of beer and wine on Sundays — a practice currently prohibited between 2 a.m. and noon on Sundays. All this to say that next week’s meeting will be worth watching. Stay tuned. And whether or not you drink, prost!